If you would like to enjoy a private luxury dive cruise with an exclusive party, we offer charter service programs. Diving with others from different countries and background can be a lot of fun. But if you want more privacy and dedicated attention from our instructors, we offer private instructor service. With our private instructor charter service, a group of up to four people will be privately coached by an instructor for the entirety of the dive cruise. This private instructor charter service offers a tailored service, where dive sites will be determined by the boat captain with the guests’ unique needs in mind. 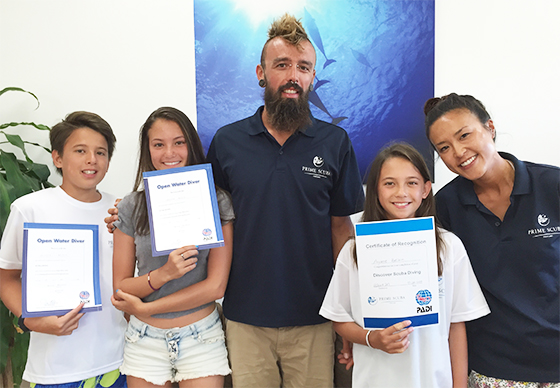 Charter instructor service includes rental gears, and can also include PADI course training; guests can have a private class with programs that follow PADI standards. This service is also recommended for those who are not confident about their diving skills and wants dedicated attention throughout the day. If you are interested in a private dive cruise, we have boat charter service available. On our boat charter service, you will have up to four instructors on the boat to help you enjoy multiple activities of your choice. For example, you can charter Blue Swan for your family cruise, to enjoy scuba diving (or snorkeling for those who do not wish to scuba dive.) You can also customize the service with no additional charge to include our PADI courses (the programs will follow PADI standards). The boat captain will take your requests, and tailor the dive cruise just for your group. 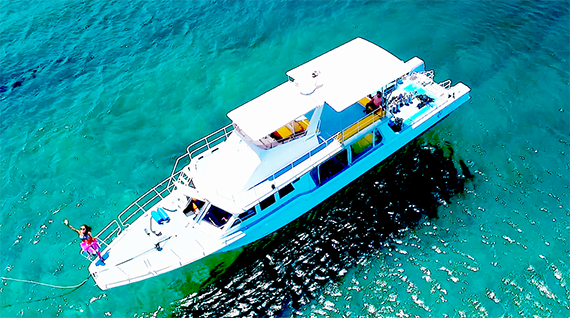 For a comfortable dive cruise, we have maximum guest capacity of 16. Please consult our staff for larger number of group.